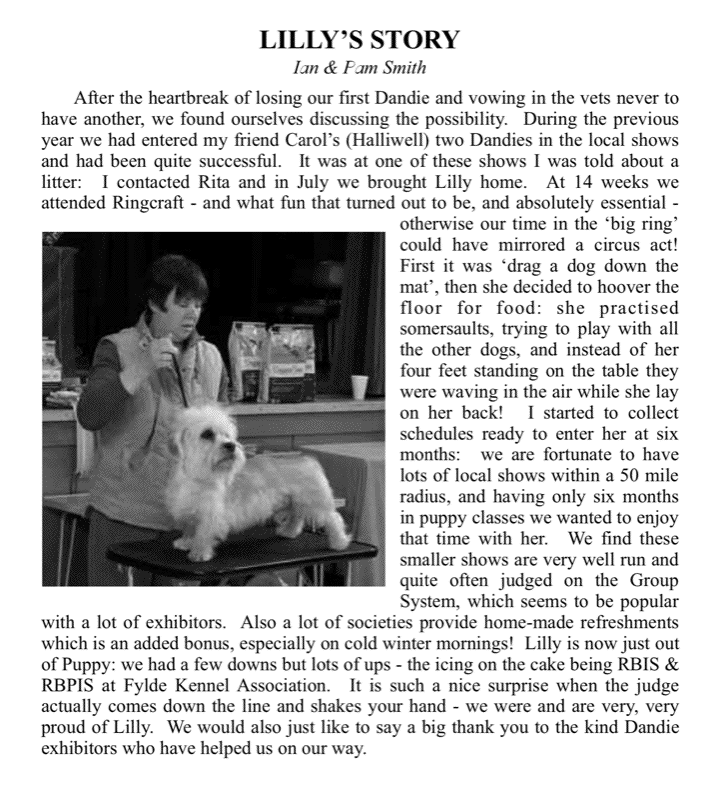 The Club magazine is issued annually at the Championship Show in July. 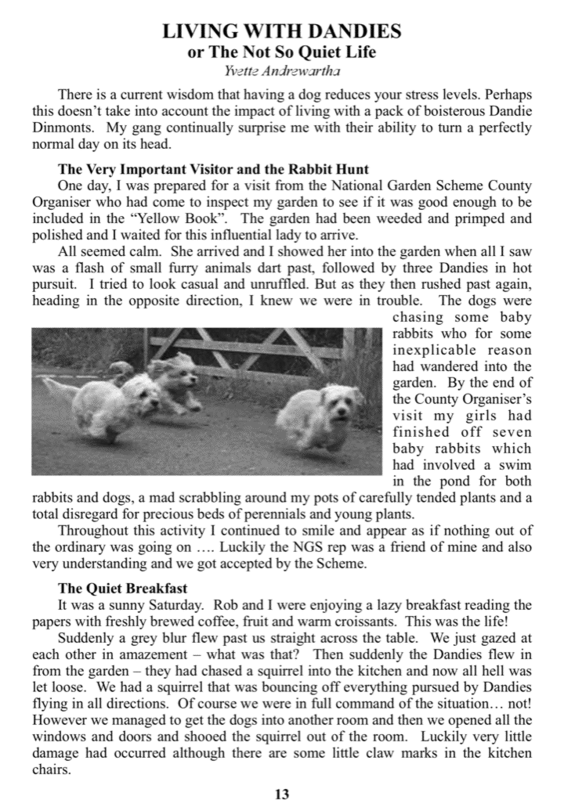 The magazine covers a wide range of subjects - short stories, show reports, health articles, and even poetry and recipes. If you have any interesting news or stories for next year's Magazine, please get in touch with us. You can also place an advert in the Magazine. Prices are currently £15 for a half page, £25 for a full page. Some back issues of the magazine are available for sale. Please log in to gain full access to this section. Many articles from back issues of the magazine, currently back to 1986, are available to view or download from the website. BUT you need to log on as a registered user to access all of them. You'll find the log-in box at the bottom left of the page. Once you are logged in, a list of magazines is shown on this page. You can either go through them year by year, or type into the search box. Not registered yet? No problem, just click 'Create an account'. You now need to be a club member to register. If you find anything on the site that doesn't work properly, please email me. For those who have not logged in, here is a limited selection of the magazine articles available. Register and log in to access all magazines, currently back to 1986. You need to be a member of the DDTC in order to register, but it is now possible to pay your membership online using PayPal. 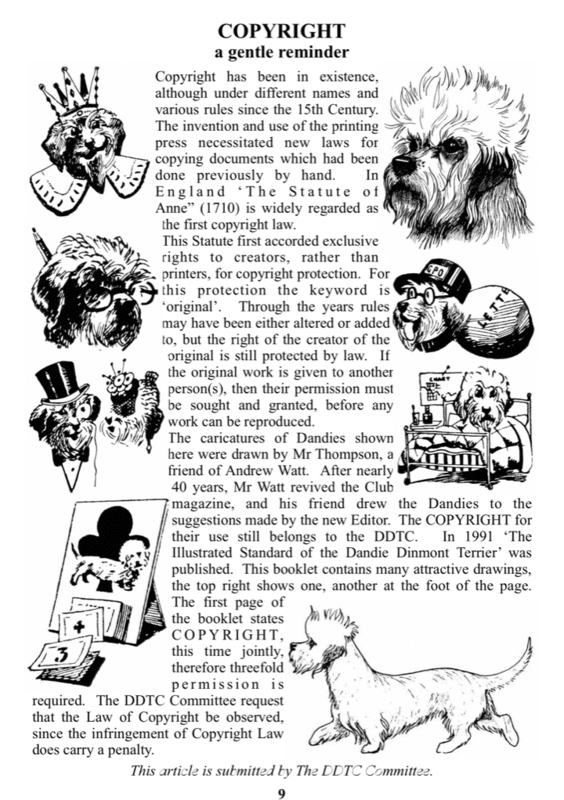 Copyright has been in existence, although under different names and various rules since the 15th Century. The invention and use of the printing press necessitated new laws for copying documents which had been done previously by hand. by Ian & Pam Smith. After the heartbreak of losing our first Dandie and vowing in the vets never to have another, we found ourselves discussing the possibility. or The Not So Quiet Life, by Yvette Andrewartha. There is a current wisdom that having a dog reduces your stress levels. Perhaps this doesn’t take into account the impact of living with a pack of boisterous Dandie Dinmonts. by Bronwell Bond. 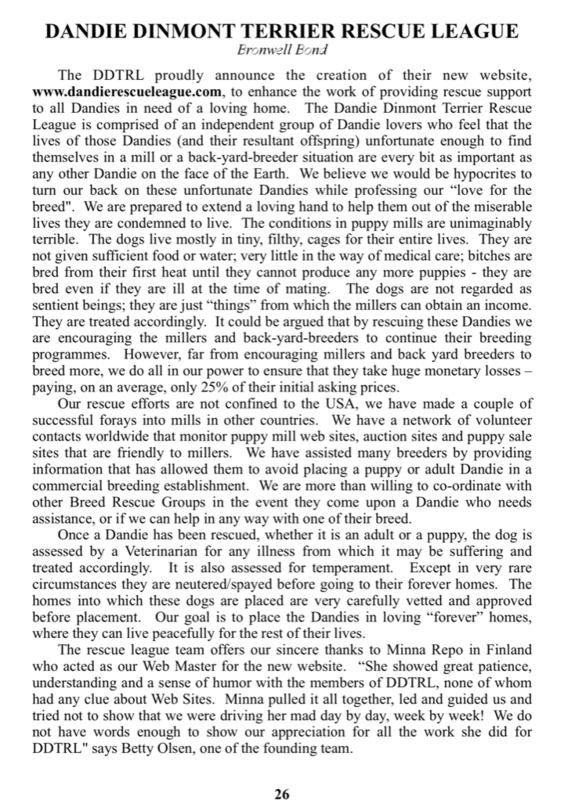 The DDTRL proudly announce the creation of their new website, www.dandierescueleague.com, to enhance the work of providing rescue support to all Dandies in need of a loving home. by Barbara Hunter. 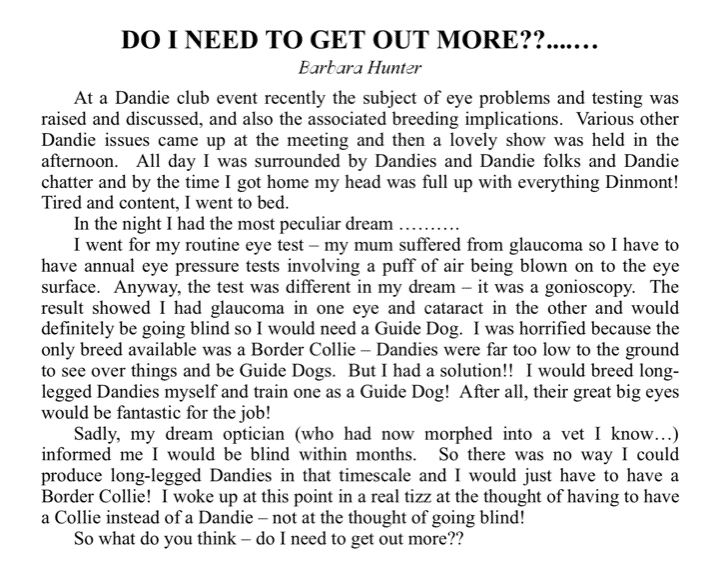 At a Dandie club event recently the subject of eye problems and testing was raised and discussed, and also the associated breeding implications.